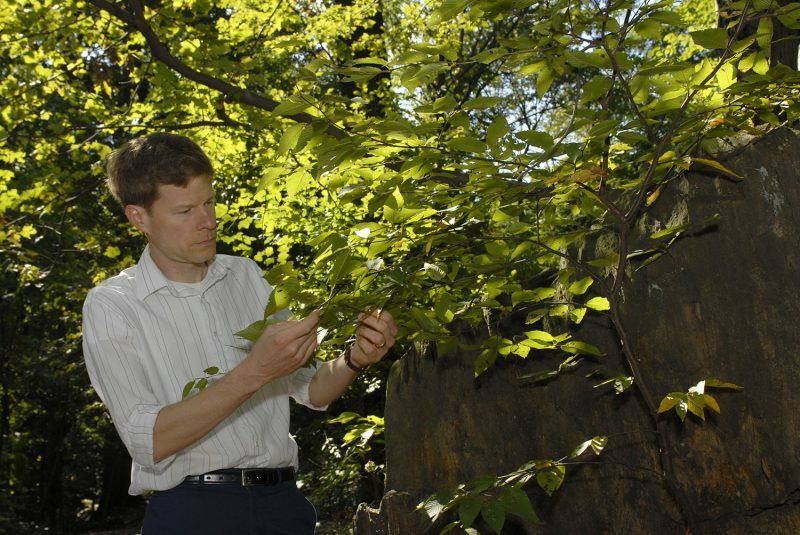 Brian M. Boom, Ph.D., is Vice President for Conservation Strategy at The New York Botanical Garden. Red maple (Acer rubrum) herbarium specimen in flower, from a collection made on April 12, 1889, by John I. Northrop and Alice Belle Rich in Hunts Point, which is today in Bronx, New York. William and Lynda Steere Herbarium, Bar Code 2488195. As we celebrate Earth Day, it seems especially appropriate to call attention to an important new initiative that NYBG is helping to lead that could dramatically improve our ability to use biodiversity collections to understand and predict how Earth’s plants and animals will respond to climate change. Charles Zimmerman is the Herbarium Collections and Outreach Administrator for the William and Lynda Steere Herbarium at The New York Botanical Garden. On National Citizen Science Day (April 13), NYBG’s William and Lynda Steere Herbarium is pleased to invite all who share a passion for nature and exploration to join our latest virtual expedition to uncover the historic collections of one of the most influential amateur naturalists of the 19th century. At the time businessman and philanthropist William M. Canby (1831–1904) became fascinated with botany, no one had coined the term “citizen scientist.” Nonetheless, as Canby surveyed lands for his railroad construction projects, he became an avid naturalist. Over a 40-year career, Canby collected tens of thousands of wild plants, organized his own herbarium, and financed dozens of expeditions across the United States. Despite having few academic credentials, Canby earned a stellar reputation among leading contemporary naturalists of his time, including Asa Gray and John Muir, who accompanied him on many collecting trips. Even Charles Darwin was impressed by Canby’s acumen for observation, especially relating to carnivorous plants such as the Venus flytrap (Dionea). 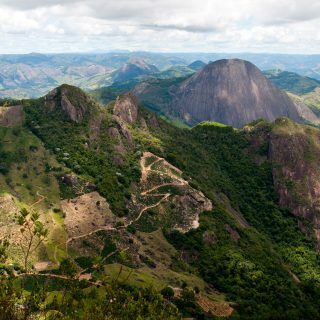 Atlantic Coastal forest of Brazil, where 95% of the original forest has been destroyed or degraded. Last month, the United Nations General Assembly declared 2021–2030 the UN Decade on Ecosystem Restoration. As the UN announcement emphasized, this declaration will provide unparalleled opportunities for job creation, food security, and addressing climate change, all of which are intertwined, vitally important concerns for the future of human society and of all life on our planet. 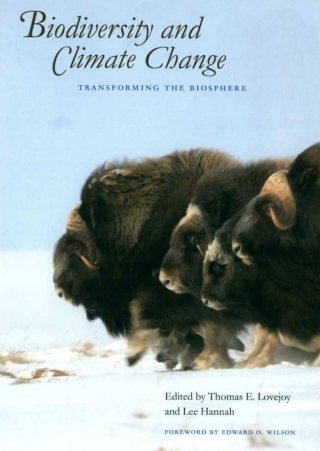 In a recent post, I wrote about the notion of a botanical approach to mitigating global warming through a concerted, coordinated effort of ecosystem restoration, for which Dr. Thomas E. Lovejoy argued elegantly and persuasively in his recently published book Biodiversity and Climate Change: Transforming the Biosphere. The UN Decade on Ecosystem Restoration, which the Society for Ecological Restoration applauded in a statement, will provide a multilateral framework to give a botanical approach to mitigating global warming a much-needed public boost and hopefully a substantial financial investment. But how much ecosystem restoration would it take to really make a difference in terms of mitigating global warming? An encouraging answer was provided in a recent research paper presented by global change ecologist Dr. Thomas Crowther at the 2019 annual meeting of the American Association for the Advancement of Science in Washington, D.C.
Sarah Dutton is the Lead Digitizer for the Southern Rockies Digitization Project at The New York Botanical Garden’s William and Lynda Steere Herbarium. 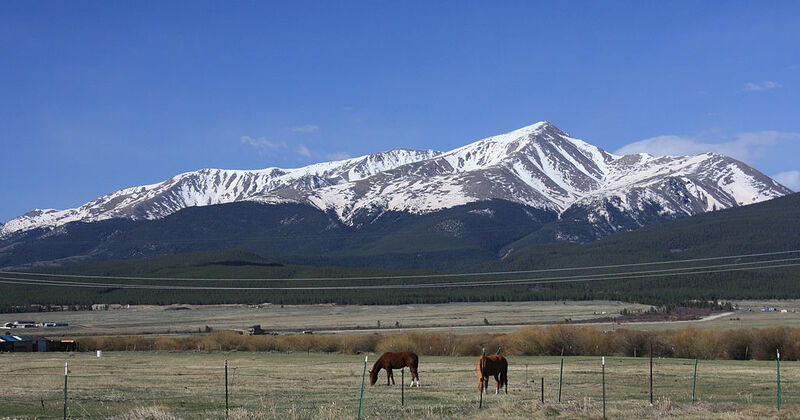 The New York Botanical Garden is currently digitizing all of its herbarium specimens from the Southern Rocky Mountains, a major subregion of the Rockies that runs from southern Wyoming through Colorado to northern New Mexico and eastern Utah. 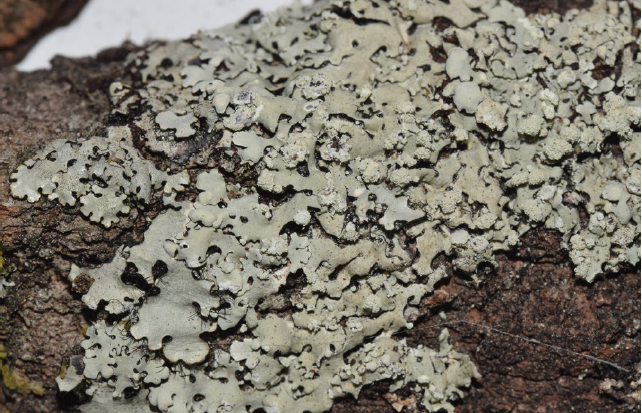 Dolly Parton isn’t the only public figure to have a new species of lichen named after her by NYBG scientists. Following precedent in naming discoveries after incredible American women, we can now add Oprah Winfrey to the list. Dr. Rob Naczi in the field doing research for The New Manual of Vascular Plants. Proposed legislation has been introduced in both the United States Senate and House of Representatives with the rather formidable title “Botanical Sciences and Native Plant Materials Research, Restoration, and Promotion Act.” Informally, it is known as “the Botany Bill.” If enacted, the Botany Bill could greatly support the safeguarding and promoting of native plants on federal lands and the increase the number of botanists who are dedicated to studying and protecting those plant species. NYBG is one of dozens of organizations that have endorsed the Botany Bill. Becky Thorp is the Senior Plant Recorder at The New York Botanical Garden. Do you like to breathe? If yes, then I have excellent news for you: lichens are easier to find in the New York metropolitan area today than they have been for decades, and this is an indicator of improved air quality. 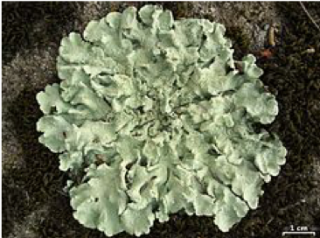 Lichens are composed of a symbiotic relationship between photosynthetic algae or cyanobacteria, which create food from sunlight, and a fungus, which provides shelter. 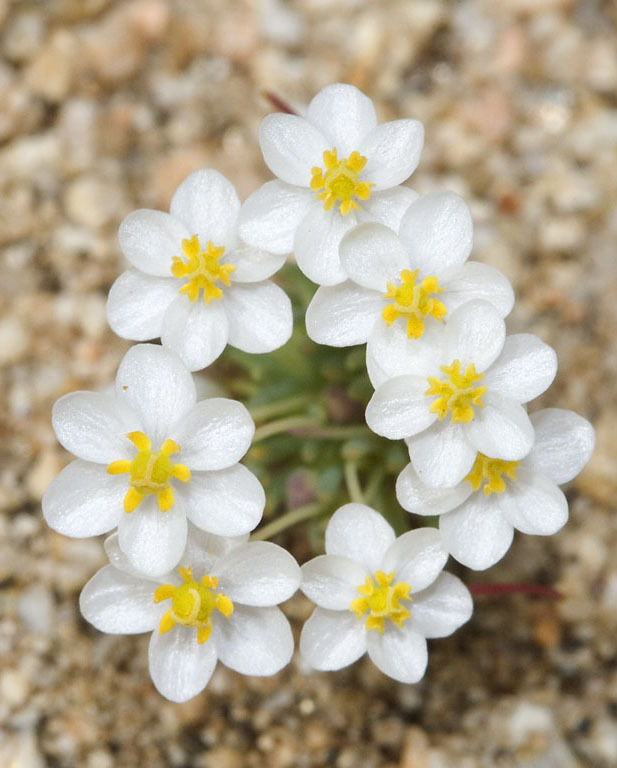 They can be found growing on the surfaces of tree trunks, rocks, lean soil, tombstones, and other surfaces on every continent and in every type of terrestrial ecosystem on earth. Able to withstand extreme variations of moisture and temperature, lichens have even survived long periods in outer space. What they can’t survive is air pollution here on earth, especially in the form of soot or sulfur dioxide, because they absorb nutrients directly from the atmosphere. Given this fact, it comes as no surprise that while they thrived in the New York area in the early 19th century, the number of local lichen species declined sharply in the 20th century with the growth of industry and population. 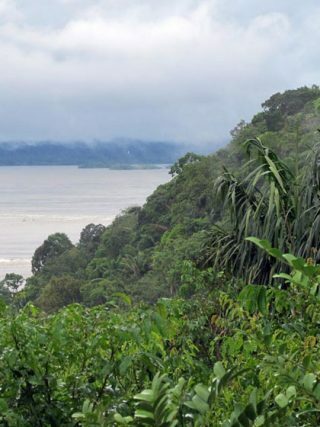 View overlooking the Tapajós River in Amazonia National Park. This botanically diverse area is slated to be impacted by hydroelectric development. My recent post on Science Talk focused on the importance of planning and executing a coordinated, worldwide scaling-up of ecosystem restoration efforts in order to maximize the potential role of plants in mitigating global warming. At least as important as ecosystem restoration is the need to safeguard the quantity and quality of existing intact ecosystems. Indeed, in a recent report, larger trees were shown to be more efficient at capturing carbon than smaller trees, so mature trees in healthy ecosystems are essential to the efficacy of a botanical approach to mitigating global warming. Another recent report, suggesting that as the climate warms, plants will absorb less carbon dioxide, reinforces the urgency of restoring ecosystems and protecting natural areas. NYBG scientists are helping to safeguard protected natural areas by documenting their plant diversity and sharing that information with land managers and policymakers. For example, Associate Curator Benjamin Torke, Ph.D., is leading one such research project in Brazil’s Tapajós National Forest and nearby Amazonia National Park, discussed in a previous post on Science Talk and profiled in greater depth here. NYBG has “boots on the ground” in six Areas of Botanical Concern (ABCs), which are regions where conservation action is urgent and NYBG is well positioned to have a major influence on conservation outcomes: North America, the Caribbean, Southeast Asia, Pacific islands, the Atlantic Coastal Forest of Brazil, and Amazonia. “A call to action” on climate change was a central theme of my recent post on Science Talk, but there’s much more to say about this subject. Among the many recommendations for action in Biodiversity and Climate Change are ones that botanical gardens are uniquely positioned to lead, in what could be termed a botanical approach to mitigating global warming. The approach involves using the natural power of plants to capture a major greenhouse gas, carbon dioxide, from the atmosphere through photosynthesis. It’s around this time of year that we often think about family, and keeping traditions alive. 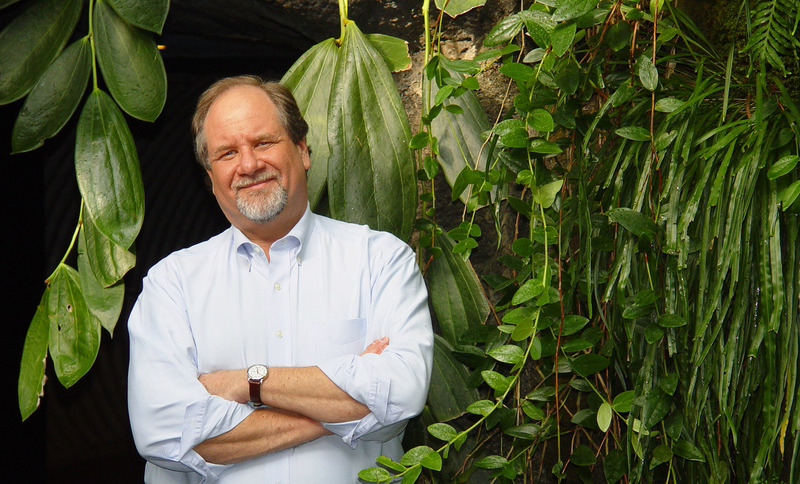 Michael Balick, Vice President for Botanical Science and Director of the Institute of Economic Botany, talks about maintaining longstanding family traditions using ethnobotany, collaboration, and chewing on ginseng with scientist and podcaster Toshiki Nakashige on The Scientist Podcast.